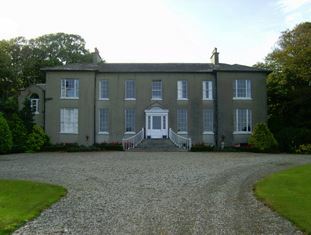 1) (The Hall, co. Wexford; Alexander Redmond, Esq., of the Hall, d. 1599, leaving three sons: 1) Alexander, who was twice beseiged in his castle by Oliver Cromwell, which he manfully defended against him, but eventually capitulated on honourable terms; 2) Gabriel, whose descendants settled in France, the last known of whom, Sir John Redmond, was Knight of the Order of Christ, and of the Military Order of St. Louis, in the last century; 3) Thomas, ancestor of Redmond, of Movilla, Killygowan, and Ballynacurry, co. Wexford, and Killoughter House, co. Wicklow. 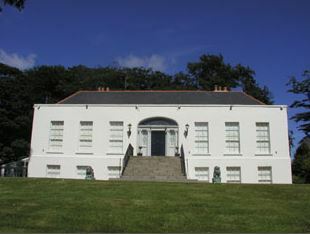 Ulster’s Office). Gu. a castle with two towers representing Sa. a bend ar. betw. three (another, six) fleurs-de-lis or.The Hall” ar. betw. three woolpacks or. Crest—A beacon fired ppr. 2) (Movilla, co. Wexford; descended from Thomas Redmond, third son of Alexander Redmond, Esq., of “The Hall,” who d. 1599, represented by Gabriel John Walsingham Redmond, Esq., son of John Walsingham Cooke Redmond, Esq., of Movilla, d. 1862, and grandson of Gabriel Rice Redmond, Esq., Inspector-General of Military Hospitals, d. 1832). This is a primarily Irish surnames with two origin theories. First, it is a baptismal surname meaning “the son of Redmond” deriving from an old personal (first) name, sometimes corrupted to Redman. Second, it may also be a locational name for a person who was “of Redmain”, a township in the parish of Isell, county Cumberland. Third it may have originated from the Norman personal name Raimond or Raimund, which in turn derives from the Old Germanic personal name Raginmund, deriving from the words ragin (counsel) and mund (protection), which wholly translates as “counsel army” or “mighty army”. The name Radmund was a Frisian, Saxon, and Frankish name in the 800-1000s AD. The name Raymond is a masculine given name and was also spelled Reimund in England. Raymond was born by several medieval Catholic saints (primarily of Spanish heritage, including St. Raymond Nonnatus, the patron saint of expectant mothers and midwives. In the third origin story, the name was introduced into Ireland, primarily county Wexford (itself named Waesjford by Vikings), during the Anglo-Norman invasion of 1169 AD led by Strongbow. The name was eventually corrupted to Redmond, where the family owned considerable lands in Wexford and were a leading sept in the barony of Forth. 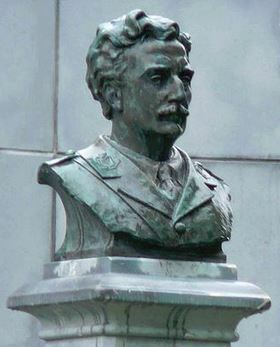 Notable members of previous centuries include Chevalier Gabriel Redmond (born 1713) who fought in the Irish Brigade and John Edward Redmond (born 1855) who was a leader of the Irish Party in the House of Commons of Great Britain. The progenitor of the family is considered to be Alexander Redmond, of the same lineage as the Earl of Pembroke, whom he accompanied into Ireland in 1170 AD. One branch of the Redmond family tree, called Yealand-Redmayne of Lancashire, remained in England. Common spelling variants or names with similar etymologies include Redmonde, Redman, Redeman, Redmain, Redmayne, Redmand, Rydeman, Raymond, MacRedmond (from the Gaelic MacReamoinn), McRedmond, Redmoyne, Redmoynd, Redmyn, Reddmin, Redmind, Reddman, Reddmon, and several others. Similar European names include Raadman (Dutch), Redeman (Flemish), Rathmann (German), Rederman (Anglo-Saxon), and Raomaor/Raomann (Norse). One source also claims the syrname MacReady or MacCreadie derives from Reddie, a diminutive of Redmond. The surname Isaac frequency/commonness ranks as follows in the British Isles: England (1,422nd), Scotland (1,378th), Wales (1,163rd), Ireland (117th) and Northern Ireland (585th). In England, it ranks highest in Lancashire. In Scotland, the surname Redmond rankest highest in county West Lothian. In Wales, it ranks highest in Caernafonshire. In Ireland, it ranks highest in counties Wexford and Wicklow. In Northern Ireland, it ranks highest in Armagh. The name is also present throughout the remainder English speaking world: Canada (1,705th), New Zealand (1,563rd), Australia (1,732nd), and South Africa (1,563rd). The 1890 book Homes of Family Names by H.B. Guppy, states the following in regard to this surnames variants: “Redman, an ancient name in Westmoreland and Cumberland, originated from Redmain, part of a township in West Cumberland. From the 14th to the 16th century members of the family were frequently sheriffs of these counties. De Redman, De Redeman, and De Redmain were usually the early forms of the name; Redman, of Redman, was sheriff of Cumberland in the reign of Richard II; between 1649 and 1760 six mayors of Kendal bore the name of Redman. The name is now infrequent in these counties. The Redmans and Redmaynes of the West Riding, and the Readmans of the North and East Ridings, who are referred to under those regions, evidently hailed originally from the ancient Cumberland family” and “Redeman, which is referred to under those counties. Charles Redman, was lord mayor of York in 1705 and 1722, and William Redman held that office in 1714. Richard Redman was high sheriff of York early in the 15th century. During the 17th century the Redmaynes were a knightly family of Thornton – in – Lonsdale in the West Riding”. One of the earliest known bearer of this surname was Alexander Raymond who was recorded in Ireland in the Early Medieval Records of County Wexford in 1170 AD. Another very early bearer was Giraldus Reimundus, who was documented in the Domesday Book of 1086 AD, which was a survey of Wales and England ordered by William the Conqueror. An early baptism involving this name was Margaret Redmonde at St. Dunstan in East London in 1565 AD. Norman de Redman was recorded in the 34th year of the reign of King Henry II (1187 AD) according to the History of Westminster and Cumberland. The same source documents one Matthew de Raman during the reign of King Edward I and Thomas de Redeman during the 49th year of the reign of King Edward III (1375 AD). The Testa de Neville sive Liber Feodorum listed one Mathew de Redeman in county Lancaster. Henry de Rydeman was recorded in the Placita de Quo Warranto. John Redman (or Redmand) was recorded in the Register of the University of Oxford in 1537 AD. 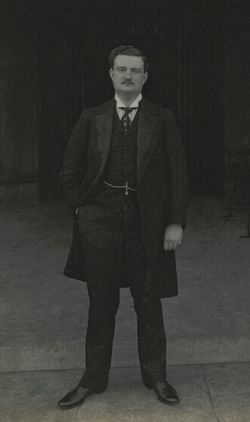 John Redmond (or Redman) was born in Compton Greenfield, Gloucesershire, England. He went to colonial America. He married Mary Harris and a woman named Ann. He had two sons: John Jr. and William. His son William was born around 1650 in Stafford, Virginia. He married Elizabeth Ann Elkins and had the following issue with herL William Redman, Thomas Redman, Jane Redmond, and Susannah Grigsby. 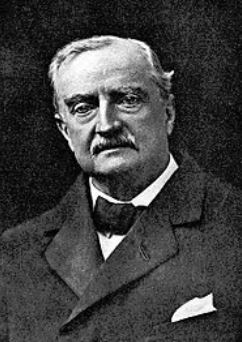 One of the earliest settlers in colonial America with this surname was John Redmond, who came to Maryland in 1678 AD. In Canada, one of the first bearers of this surname was Michael Redmond who came to Halifax, Nova Scotia in 1749. 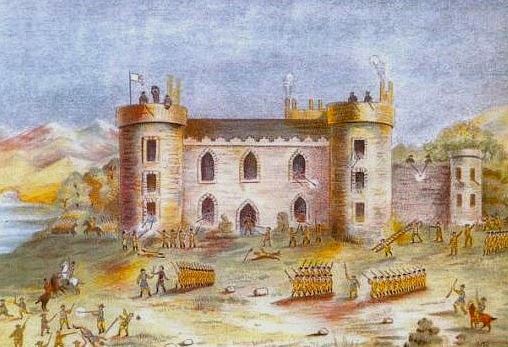 In Australia, two early bearers were Laurence and Joseph Redmond, a carpenter and a painter, respectively, who came to Tasmania (then called Van Diemen’s Land) around 1830. In New Zealand, one of the first bearers of this last name was Peter Redmond, who came to the city of Auckland in 1865 aboard the Pegasus. Matthew’s American Armoury and Bluebook and Crozier’s General Armory do not contain entries for this last name. 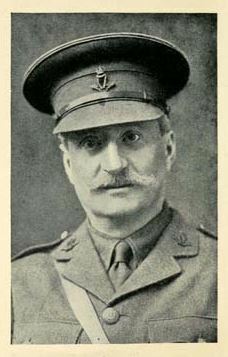 Charles Bolton’s American Armory (1927) contains one entry for this surname: Gules a castle between three woolpacks proper. Crest: a beacon proper. Motto: Pie vivere et Deum et patriam deligere Bookplate William Redmond. The Redmond family motto is Pie vivere, et Deum et patriam diligere, meaning “To live piously, and to love (both) God and our country”. We have one coat of arms for the Redmond surname depicted here. This blazon is from Bernard Burke’s book The General Armory of England, Ireland, and Scotland, which was published in 1848. The bottom of this page contains the blazons, and in many instances contains some historical, geographical, and genealogical about where coat of arms was found and who bore it. There are hundreds of notable people with the Redmond surname. This page will mention a handful. Famous people with this last name include: 1) William Hoey Kearney Redmond (1861-1917) who was an Irish nationality politician and lawyer from Ballyrent, Wexford who was a supporter of the Home Rule Movement and died in World War I, 2) Philip Redmond (1949) who was an English television producer and screenwriter from Huyton, Lancashire known for TV shows like Grange Hill, Brookside, and Hollyoaks, 3) Michael Patrick Redmond (1971) who was an American baseball catcher and manager born in Seattle, Washington who played for three different MLB teams: Florida Marlins, Minnesota Twins, Cleveland Indians, 4) Mickey Redmond (1947) who was a professional hockey player born in Kirkland Lake, Ontario who played for the Detroit Redwings and Montreal Canadiens who became a color commentator for the Detroit Redwings, 5) Michael Redmond, a Canadian politician who became the leader of the New Democratic Party of Prince Edward Island, 6) Michael Sean Redmond (1963) who is an American-born professional Go player from Santa Barbara, California, 7) Hugh Francis Redmond who was an American paratrooper in World War II and a native of Yonkers, New York, who became a secret operative in the CIA in Shanghai, 8) Aaron James Redmond (1979) who was an Australian born New Zealand international cricket player, 9) Derek Anthony Redmond who was a British athelete from Bletchley, Buckinghamshire who won gold medals in the 4×400 metres relay at the World and European Champions, and 10) Granville Redmond who was an American landscape painter from Philadelphia, Pennsylvania who was an occasional actor in silent films and friend of Charlie Chaplin. The two main heraldic symbols in the Redmond Coat of Arms (erroneously called the Redmond Family Crest) are the tower and woolpack (also known as the cushion). Architectural items, from individual components to entire building feature frequently as charges In a coat of arms. Not surprisingly, considering the times from which many arms date, fortifications are common. The tower Is a typical example of an object from the world of architecture adopted, albeit in a stylised form, for use in heraldry. It can be placed alone, or frequently with three turrets on the top, known as a tower triple towered, and can have doors and windows of a different colour. In continental European heraldry they are often accompanied by pictorial effects such as armoured knights scaling them on ladders. Although we expect to find fierce creatures and fearsome weapons depicted in a coat of arms this is not always the case – sometimes simple household objects are used. The Cushion is a typical example of this. Sometimes these objects were chosen for the familiarity they would have for the obsever, helping them identify the owner, and sometimes they were used because of some association with the owner, or a similarity to the family name. The cushion is typically decpicted as square, with a tassle at each corner and may also have some other device upon them.